In keeping with the theme of bacon (because, why not?!) I am going to introduce a recipe that is completely random given that it is July 1st, not April – lets blame it on the 108 degree heat today. While yes, this concoction was created out of necessity for Passover, the Jewish holiday where eating bread or any other leavened products is a no-no for over a week, I see no reason why it can’t be a year-round staple. As far as Passover goes, bread I can honestly do without – I am a fan of the matzo. 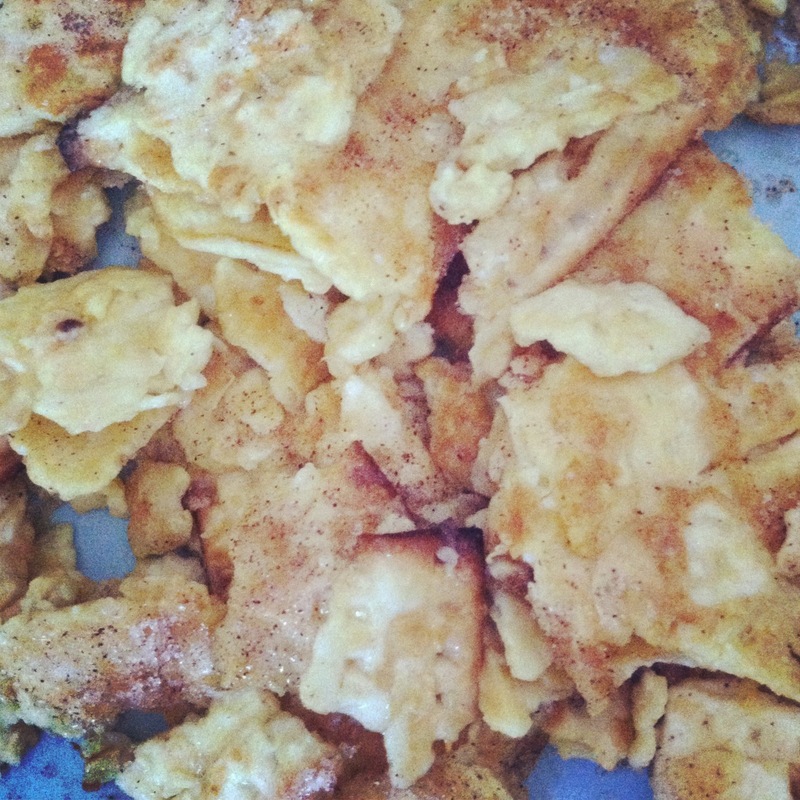 All things matzo – matzo brie (sort of like french toast, with matzo), matzo pizza, and so on. I also love Passover – I love a good sedar and I love the challenge of trying to stay bread (and other leavened products)-free for as long as I can. However, it is the lack of sweets that always gets me. Passover sweets (fake cookies and cakes) are rarely any good. Thank GOODNESS for my friend Nicole, who introduced me to Matzo Crack – a delicious chocolate caramel covered matzo deliciousness. 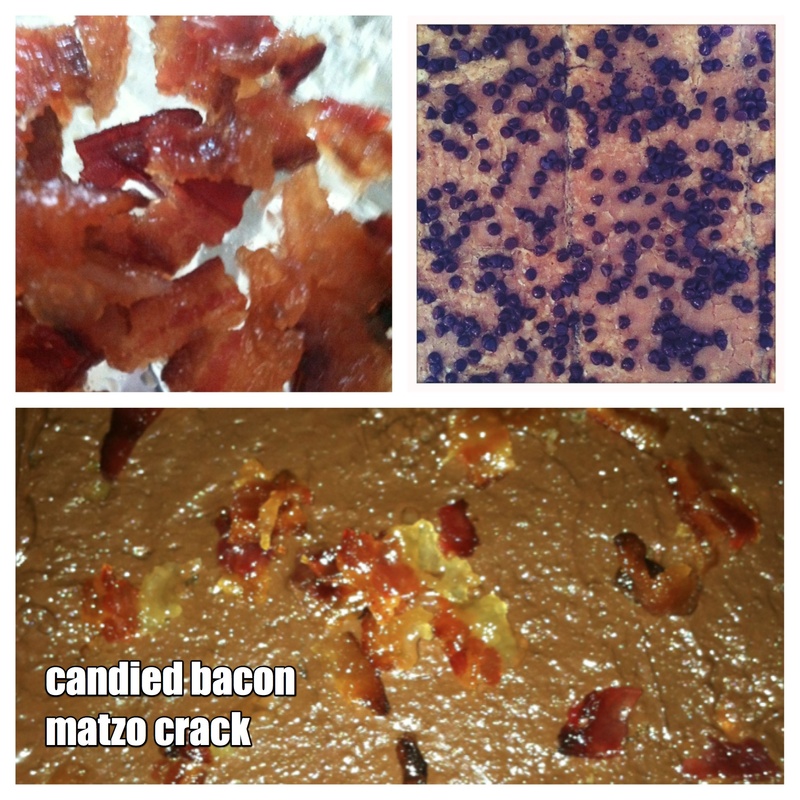 It doesn’t matter that I was unaware of this creation until college, nor that it was my non-Jewish friend who was never required to eat matzo that introduced it to me – all that matters is that I now am in on the “secret.” And this year, I felt that it was my responsibility to make my contribution. This year was not the best year for my favorite holiday. It was busy busy (again, grad school, ugh); not only did my clinic schedule keep me from going home, I didn’t even attend a sedar. Womp womp. Now, don’t start feeling bad for me though. 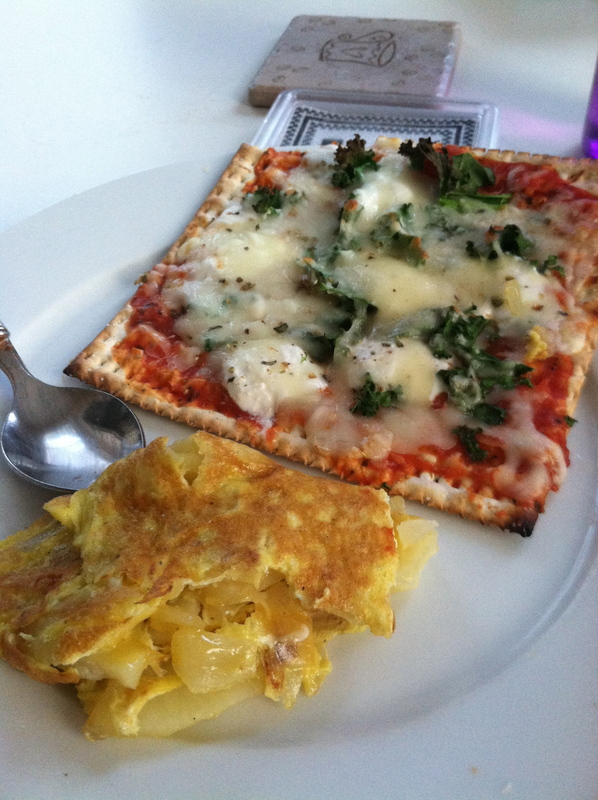 I had fun experimenting with some new types of matzo pizza (I used kale! and paired it with tortilla espanol…kosher Italian Spanish fusion time). I also made some matzo brie, some charoset, AND in exchange for some matzo crack, I even got myself some delicious homemade matzo ball soup courtesy of my awesome cooking class teacher/fantastic cook/dietician friend. Not too shabby. Of course, Passover came and went and I was left with boxes upon boxes of matzo (I always buy too much. ALWAYS!). So, rather than wait and see if it would stay good for until next year (I bet it would have), I decided to take matzo crack to the next level. A level that was far more unhealthy and ridiculous than it had been before, not to mention completely un-kosher. 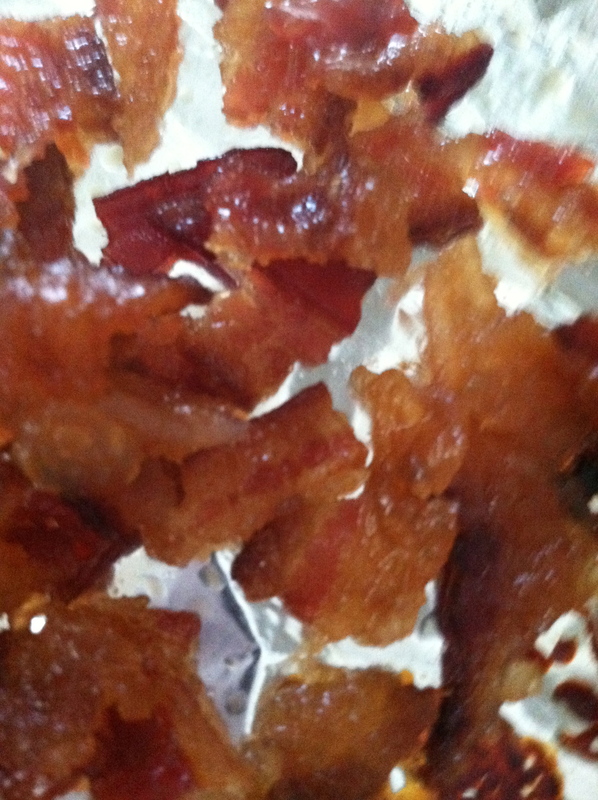 My new creation was inspired by a vendor selling candied bacon at the annual Terrapin Brewery carnival. After a few glasses of Terrapin’s super strong 10th anniversary beer, I could not resist the tempting scent of candied bacon being sold. It looked so good and I was so excited…only to be told I had to wait 15 minutes for the next batch. Fine. What wasn’t fine though? That when I returned 15 minutes later the vendor had almost sold the last of the bacon to SOMEONE ELSE. Unacceptable. I did finally get my bacon, and it was so good that I had to share. 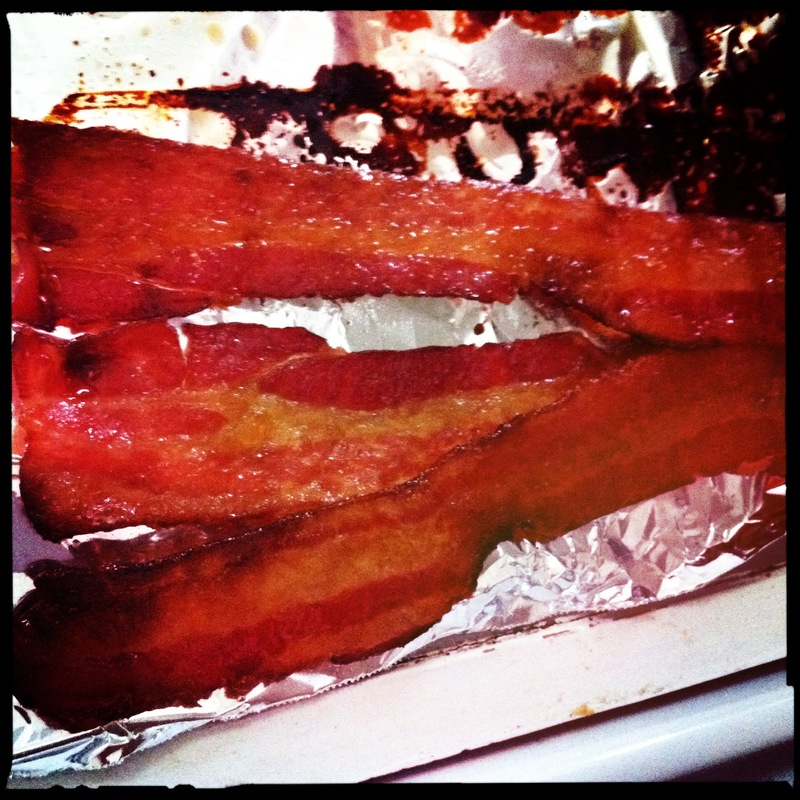 This left me with very little pork candy to myself, which led me to the obvious conclusion that I must make my very own candied bacon, which I did bright and early the following morning. Preheat oven to 400. Place a wire cooking rack on top of a baking sheet completely lined with foil. Toss bacon strips with brown sugar and hot spice of your choice. I used a few drops of Sriracha and it was perfect (in my Sriracha-obsessed opinion). 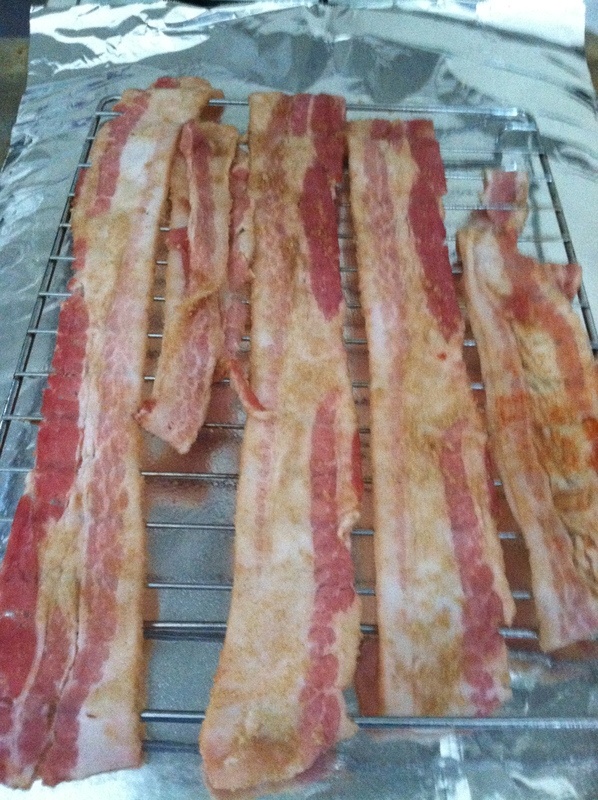 Lay bacon strips flat on the wire rack and cook for about 15-20 minutes. Flip and cook for an additional 5-10 minutes, depending on how crispy you like your bacon. Remove from the oven and let cool. Reduce the oven heat to 350 degrees. Line another baking sheet with foil and cover completely with matzo (unfortunately, you will have to do some maneuvering with the matzo, keeping the crackers whole won’t cover a baking sheet – rather, break it up and piece it together…like a puzzle!). Meanwhile, cook butter and brown sugar in a medium saucepan over medium heat. Whisk constantly (I find that caramel burns easily, it my easily distracted experience). Once the mixture comes to a boil, continue mixing for about 3 minutes until it foams up and the sugar seems completely dissolved in the butter. Pour the caramel over the matzo and spread into a thin layer with a spatula. Stick the caramel matzo into the oven for 10-15 minutes – the caramel will start to bubble, and I always want to take it out too early – DON’T! Or you will be left with grainy-ish caramel like I have been, and nobody wants that. 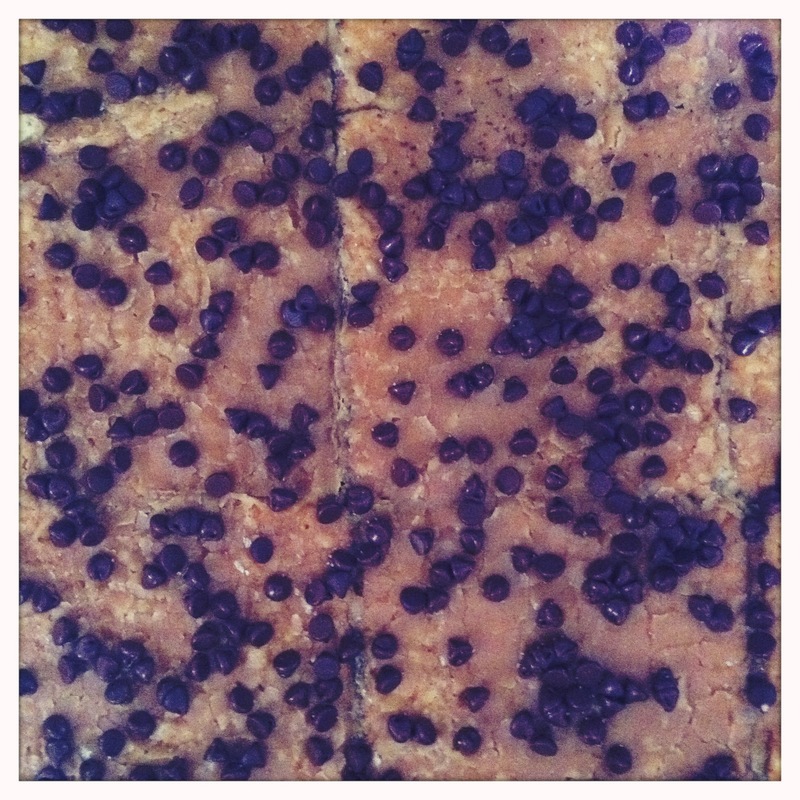 Once all of the caramel is bubbling, take it out of the oven and cover with chocolate chips. Wait 5 minutes and then spread into a thin layer with a spatula (if you don’t wait long enough, it is very difficult to spread – trust me, I know). Now, crumble some of that delicious bacon on top* and stick in the fridge until the chocolate has hardened (about 45 minutes 😦 ). Break into pieces and store in a tightly sealed tupperware container (who am I kidding, it rarely lasts long enough to make it to the storage phase). 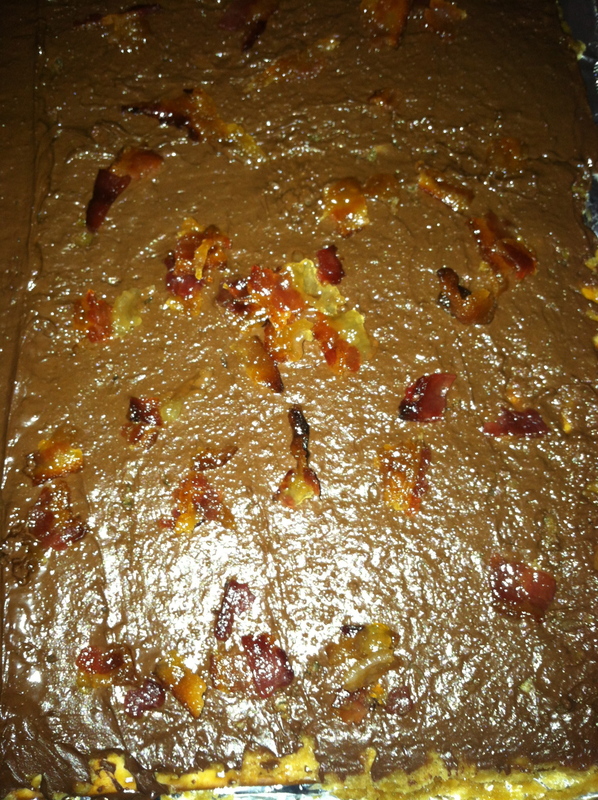 *Obviously, this could be made without the candied bacon, but why? !